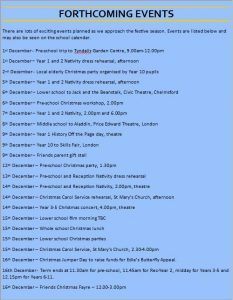 There are lots of exciting events planned as we approach the festive season. See below a full list. 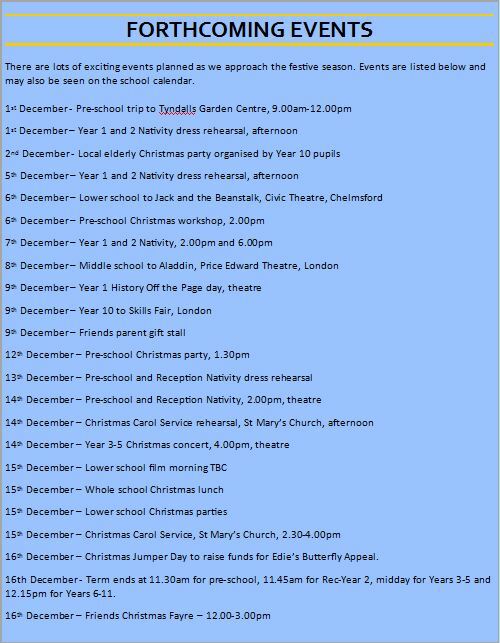 These events may also be found on the school calendar.